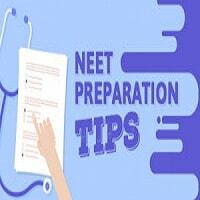 NEET 2019 Preparation Tips NEET is a medical entrance exam which is conducted by National Test Agency. The exam grants the candidate an admission to various medical and dental colleges all over India. The three-hour exam consists maximum of 720 marks. Total 180 questions based on Physics, Chemistry, Biology are to be answered. The exam is scheduled to be conducted on 5th May 2019. The number close to million candidates appear for this exam from which only 10% of students get admission to well-recognized college. So it is important to get good marks in order to get admission to a good college. The exam is very competitive. Many students appearing for NEET 2019 might be having a common question How to study and score good marks in NEET 2019? If a candidate wishes to score good marks in NEET 2019, he or she has to follow few ground rules while preparing for the exam. We have shared a few important points which have been shared by experienced professors from all over India. If the candidate follows these steps, it is likely that candidate will crack NEET 2019. One of the biggest mistakes the candidate makes is studying subjects without knowing syllabus and exam pattern very well. Once the candidate knows his syllabus very well, it makes it easy for him/her to study chapters not covered during board exams. The candidate can hence focus on the chapters which are new. The candidate should note that when syllabus and the time for preparation is compared, it is easily possible for the student to study every topic deeply. But a study schedule is necessary. Studying regularly by dedicating few hours for NEET exam is essential to score good marks. Focusing on their weaker points and harder chapters is an important factor while studying. It happens many times that student is very good in one subject while fears to study the subject which he finds hard. It is important to focus on such subjects by taking help of friend, family or teacher. By learning these subjects, it helps to overcome the fear of that particular subject. It is said that few questions asked in the previous exams get repeated. If not repeat, the style or format of the question remains similar. So it is essential for the candidate to keep the habit of solving Previous years question papers. This also helps the candidate to work on time management during the exam. We have already advised solving previous year question paper. But solving at home with exam atmosphere is not possible. So we also advise that once you have finished the syllabus, do opt for various NEET Mock Test which is available of various institutes. Please include attribution to Neet 2019 with this graphic. Hi Sir, Yes You can study with this books and Guides mentioned or you can go with the Social site Like Youtube or another social site which they help you to crack the exam. Is it possible to transfer from bds to mbbs after first year in bds? Hi Prakash, It is depends upon the college while it also depend upon the Admission criteria to the relevant course. HI Preeti, Its all depends upon your hard work and preparation . Hi Jahnavi, to get a good score, you may go through some valuable preparation tips. Please find the link for same our neet preparation tips page. Sir What is reservation process for medical seat. and when I can apply. KARISHMA VERMA Sir What is reservation process for medical seat. Hi Karishma, You may please check this link for getting the NEET Reservation detail, and for getting the Application detail please check the official website.